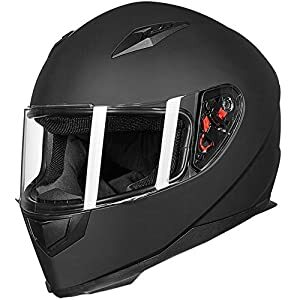 Best Moto Helmet Reviews: Only 13 Out of 486 in 2019! Some items are so personal that there is no “best,” the various features and designs that every individual seeks make for their own personal best. However, there are good and bad items, where the good use of high-quality materials, are fabricated and assembled to precision and are reliable, dependable and extremely safe. 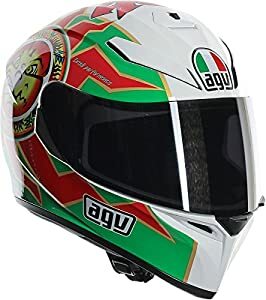 Picking a moto helmet is one of those personal issues, where features and designs come together and attract different individuals. What we present here are the best within their categories. This means that they use the best materials, are constructed to precision, and they meet or go beyond safety standards. In regard to design, we leave that for you to decide. Fit: Perhaps the most important feature of all helmets, how snug does it fit on you, and what kind of fit are you looking for? A whole head and face, or just a cover for your scalp? No matter the design, when you put it on your head and close the straps, is it snug, is it comfortable and do you forget to take it off, because it’s such a comfortable fit? (We won’t discuss fit here since this is literally individual. 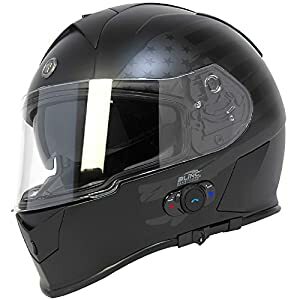 Features: What does the helmet provide apart from safety? Perhaps a Bluetooth connection to your cellphone? A sun-visor? An all-weather visor? Quick release straps? Certified: This relates to both materials and structural design. Are the materials strong and resilient? 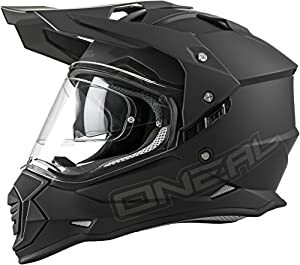 Is the design efficient and does the helmet have DOT or Snell certification? There are others, but Snell is the best, and DOT is mandatory. This guide is split between helmets under $200 and helmets under $150. Now let’s take a look at the best helmets in their categories and after the review, a quick conclusion to wrap it all up. 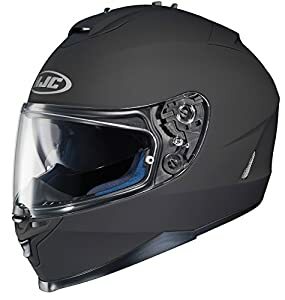 HJC is a global company producing a wide range of helmets for all bike applications. Their range includes official Marvel and Starwars designs, and they are all DOT certified. 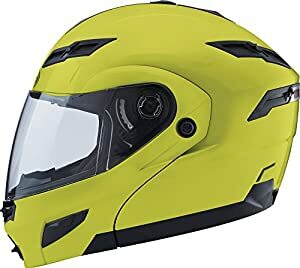 This is there is-17 full face model, and it comes in a number of colors. One-Touch Integrated Smoke-Tinted SunShield with three stage multiple positions with locking mechanism. ACS Advanced Channeling Ventilation System Full front to back airflow flushes heat and humidity up and out. Lightweight Vents for interior controlled air flow. 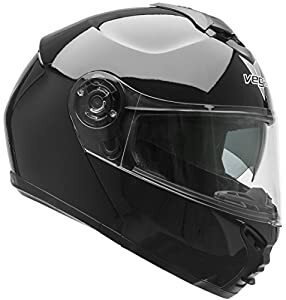 The VR1 by Vega Helmets is a great value for money helmet; it comes with a modular flip-up helmet system and a secure metal-to-metal locking, drop down inner sun-shield with the adaptable ventilated waterproof design. As well as a number of attractive features to make your ride more comfortable. Removable optically correct, multi-position clear shield and inner sun shield. High density channeled air flow EPS liner. This is a great retro designed helmet, sort of a hybrid 1950’s style test pilot helmet for bikers. This model comes in a variety of designs, and all are really nifty looking. You also get different colors for the lining, so you can really play around with the design. Frontal air intakes on select models. The Scorpion EXO-R710 is an edition of the R-series that Scorpion introduced to strengthen its brand. This model is optimized for weight distribution, so its fit and comfort will constantly be realized. This is the Torc T14B Bluetooth helmet that was developed for the perfect ride experience. Integrating Bluetooth technology into a flat panel shield and is the leader in flat panel shielding helmets. Removable and washable laser cut comfort seam liner. Smoothlock drops down visor system with retractable drop down internal sun visor. Flat panel optically correct shield. 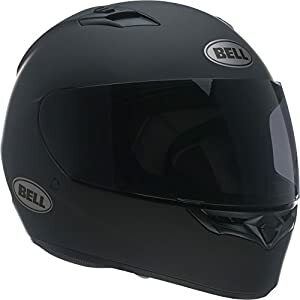 This is the Bell Qualifier series helmet that comes with all the standard features you would expect from a great but budget-friendly helmet. 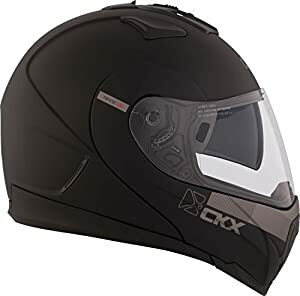 This is a basic yet versatile bike helmet; it’s so budget friendly it’s worthwhile having one of these around as a spare for passengers. 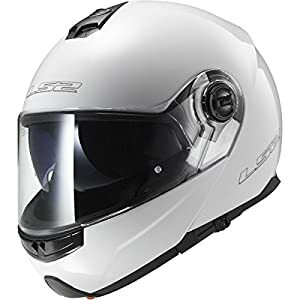 The LS2 Strobe modular full-face motorcycle helmet designed for the everyday rider and provides excellent protection. This is a budget-friendly frill-free no-nonsense helmet. This is the O’Neal 0817-504 Sierra II that comes at a very affordable price. It’s a standard issue helmet; it provides all the basics you would expect and is very comfortable. Black Brand produce some of the most basic and no-nonsense helmets on the market. You just put it on your head and start to ride. 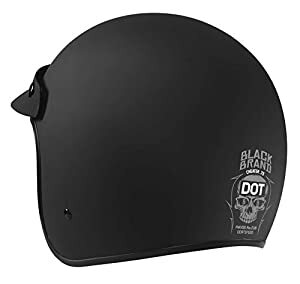 These are one of the smallest DOT approved helmets on the market. 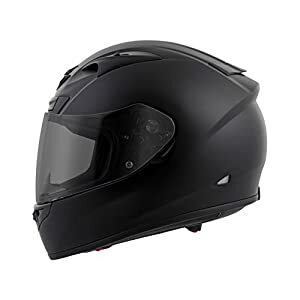 When you consider what you are getting for the price you pay, this is perhaps the most advanced and technologically sound helmets you will get for the price you pay. It’s an amazing deal, and the K3 range comes in a variety of color options, you only pay more for the different design, not the structure, which is identical in all K3 models. 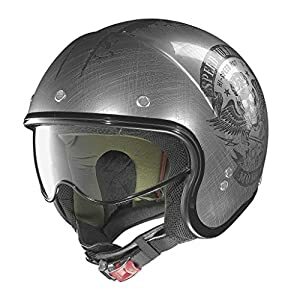 Originally designed for snowmobiles, this helmet was taken over by the motorbike sector since it provides excellent safety and comfort conditions for the roads.